RoundAbout is a social enterprise, founded by Leslie Simpson in 2008 in Beijing (who left Beijing since then) and managed by volunteers. 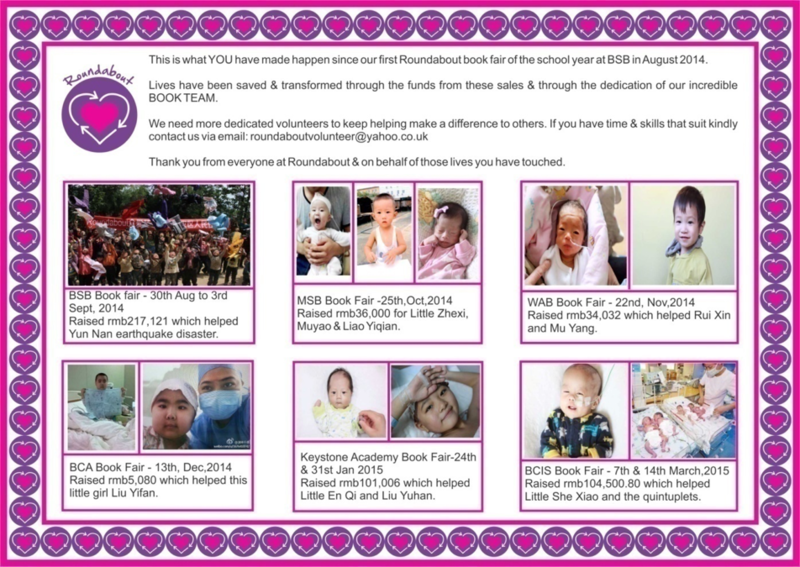 RoundAbout opened the first charity shop ever in Mainland China back in 2008. 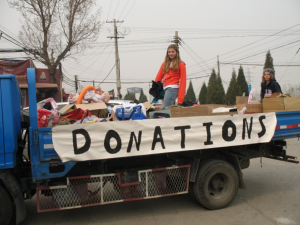 Thanks to the goods and the money they collect, they support over 48 charity organisations in Beijing area and China, Inner Mongolia and Mongolia. 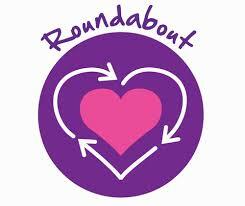 RoundAbout introduces itself as a charity shop & distribution centre, being a bridge of the resources and needs. They sell donated goods to raise money ; raised money and donations are used to pay the medical and education fees of sick children in China as well as people /charity organisations in need (earthquake victims, orphanages, etc). 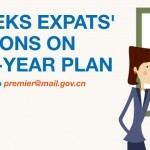 We are sharing this article on our blog, because expatriates leaving Beijing are often willing to get rid of unwanted items; many of us will also need to get rid of clothes and if you are tempted to give them to your ayi, you will probably change your mind after reading this article and better understanding how you can help people in need by giving clothes, household equipment, toys, books, DVD… to RoundAbout. 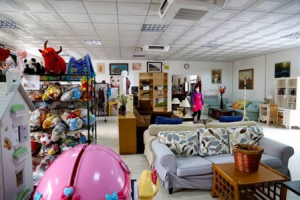 Last but not least, if you are short in budget or not willing to buy new furniture, kitchenware… you can always visit Roundabout store in Shunyi! 1. What types of clothing do you need most ? We accept all kind of clothing, no matter baby / children / adult / women / men / winter / summer / sport, but clothes should be in a good, clean, re-usable condition. 2. When receiving goods, you may not be able to use all: what are the reasons for? When we received goods, first we do sorting: for the stuffs in good conditions, we will donate to the people in need, for the normal stuffs, we will keep it in the charity shop to sell, and last for the stuffs in bad conditions (damaged/not in good condition/not re-usable), we will have to through them away. 3. Do you have any recommendation regarding the preparation of the donated items? 1. We are not accept underwear, fake DVD, outdated medicine and food, not reusable stuffs. 2. We are accept clothing, shoes, toys, kitchen ware, jewellery, furniture, electrical equipment, sports goods, bedding goods, baby or kids goods, high quality stuff, stationery etc. 3. Valuables goods: people who donate are encourage to indicate the value (price), the production place, and if they have a special story. 4. For clothes, they should be clean and make it in good condition, even the shoes. 5. For the large size goods, when people are asking for goods pick-up, they are required to tell the size, and send us picture, so that we can arrange the proper vehicle to pick up. 4. Which items are mostly donated? Do you have too many of them? Clothes are most donated item. Yes, we have too many of them, but we also have too many poor areas where we can donate, so it is so far quite okay for us. 5. How many volunteers are involved in Roundabout social enterprise? In 2015, we had about 500 individuals and group/organisation/school/companies who joined in us for volunteering. 6. Which items bring the most value for your organisation? Why? The items which bring the most value include clothes, electrical equipment, books, toys, kitchenware. Because most our customers come from the neighborhoods of our shop (nearby Beijing International schools, companies and residential compounds). They usually buy goods and donate at the same time they visit our store. Goods with low price and good quality are very popular amongst our customers. 7. 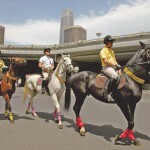 You mention about partnership with charitable organisations in Beijing and in other places in China. Are those organisations recognised by the Chinese government? How the authorities consider your work? Some charity organisations are recognised by the Chinese government, but some are not. The local government is supporting us a lot; the SHUNYI local government gave us a lot of support. Also the CHINA YOUTH DEVELOPMENT FOUNDATION would like to cooperate with us. 8. 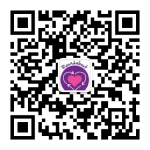 Are you active on wechat? Yes, we have post on wechat and Blog (WeiBo). BOOKS: most in English, but also foreign languages. 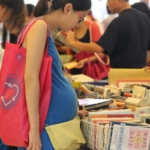 Children books are usually resold at 1 RMB, Paperback books at 10 RMB, Hardcover at 20 RMB. Visiting one of the booth of Roundabout in fairs and events is also a good way to support them! Household Items, Furniture, Bikes, Sport gears, Clothes,Toys: instead of trying to sell them on TheBeijinger and getting hundreds of phone calls or emails from potential buyers, just call RoundAbout, they will pick up the goods from your home! 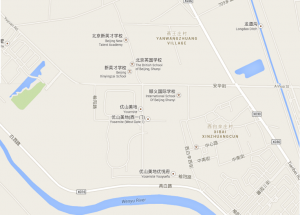 Address: Yuyang Road, West of An Hua Road (Behind Yosemite Villa Compound), Shunyi District. 众爱商店，顺义区榆阳路（优山美地别墅后街，从安华路转入). SCOUT Real Estate is supporting RoundAbout charity organisation by being a drop off point. You can pass by our office and drop your unwanted items; we will store them till RoundAbout comes to our place to pick them up!